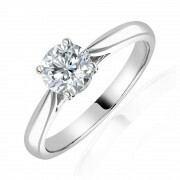 Diamond Engagement Rings	There are 126 products. Macintyres of Edinburgh diamond engagement rings, hand picked by our award winning in-house diamond experts. Every diamond ring for sale on our website is in stock & available to view in our Edinburgh showroom.